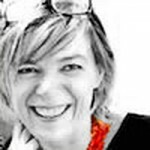 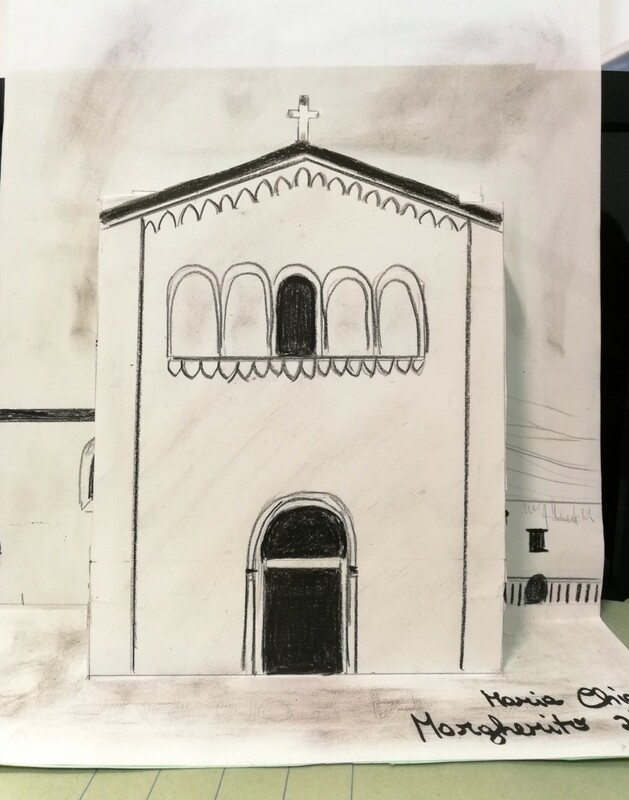 A new and interesting idea from the art teacher Giovanni Perdicchia, who has already published on this website an activity about art works and photography. 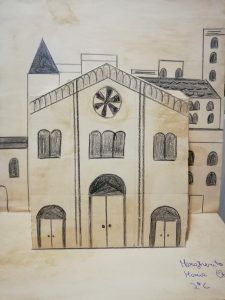 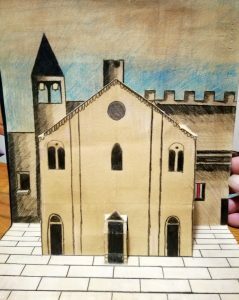 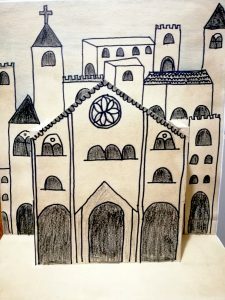 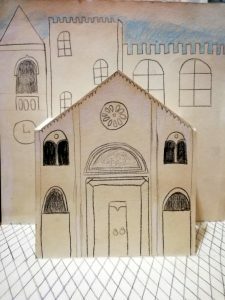 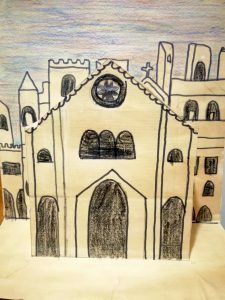 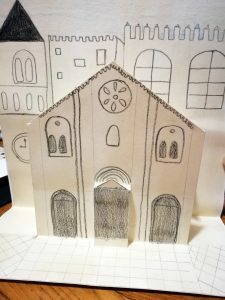 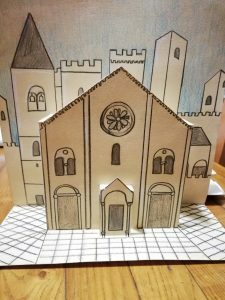 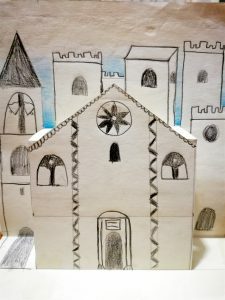 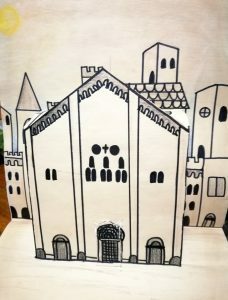 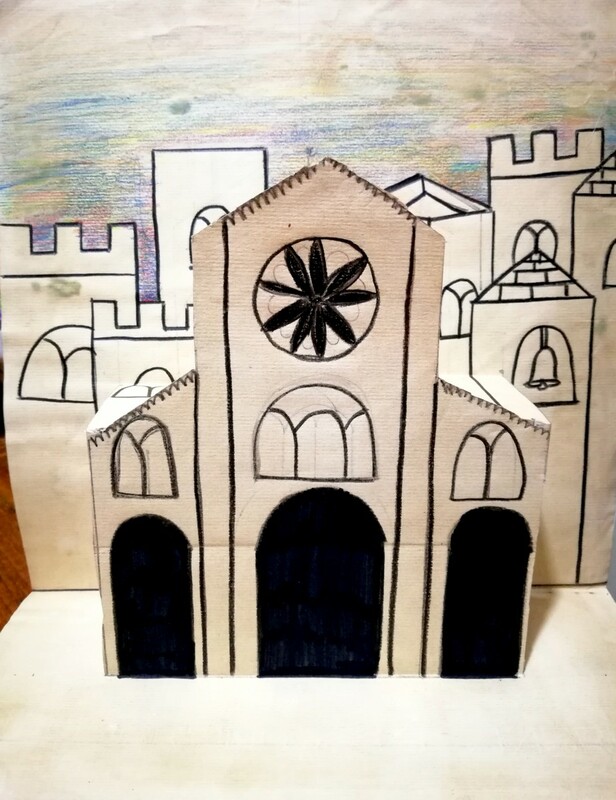 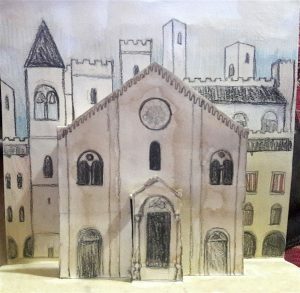 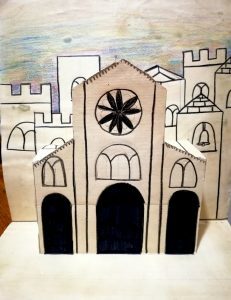 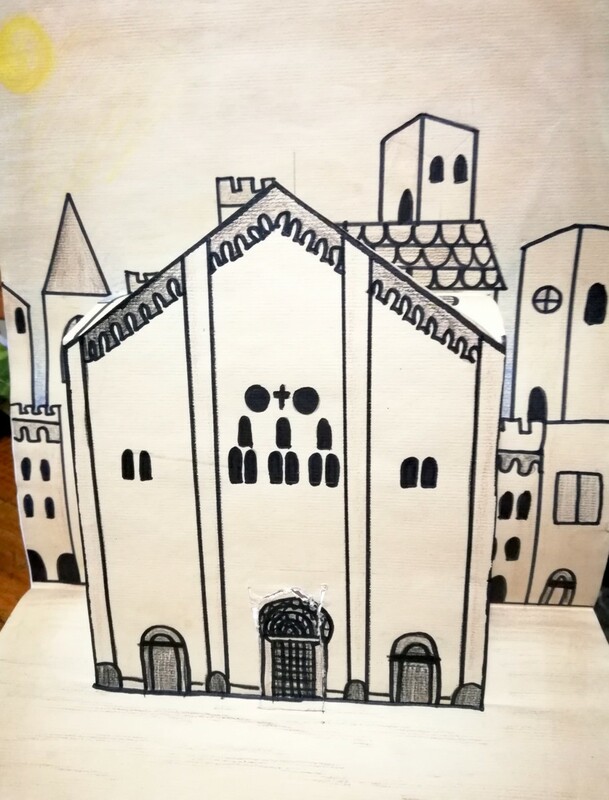 These Romanesque pop-up Cathedrals have been created by his 7th grade students. 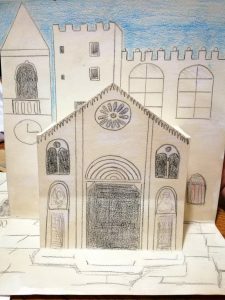 The schools involved are the Middle School of di Racale, and the Middle School of Alliste, in the province of Lecce, in Italy. 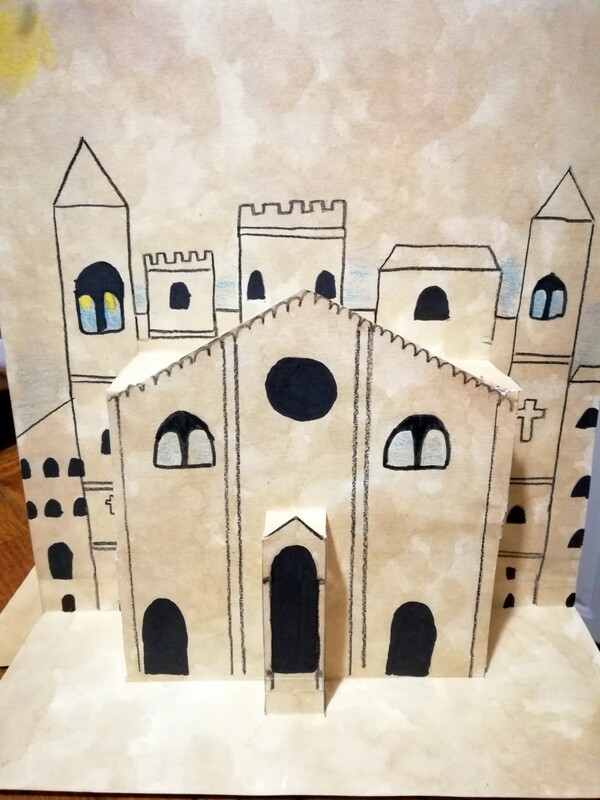 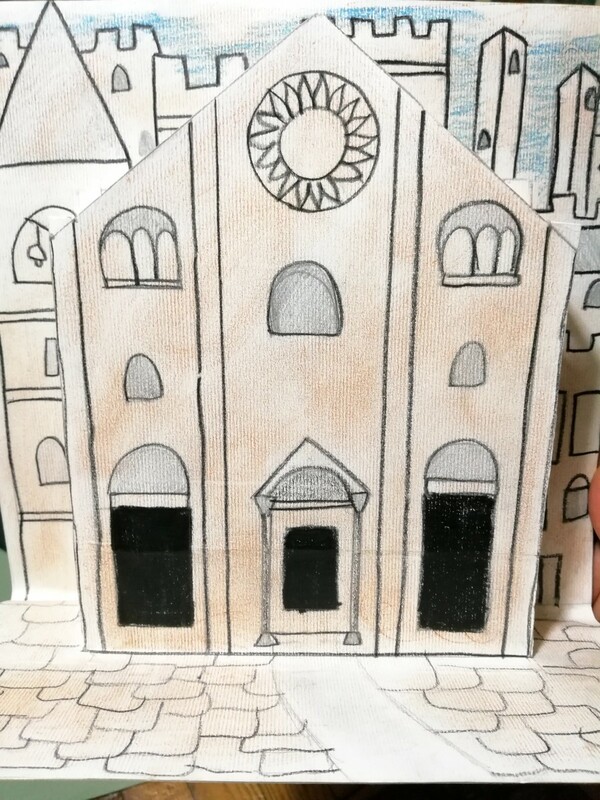 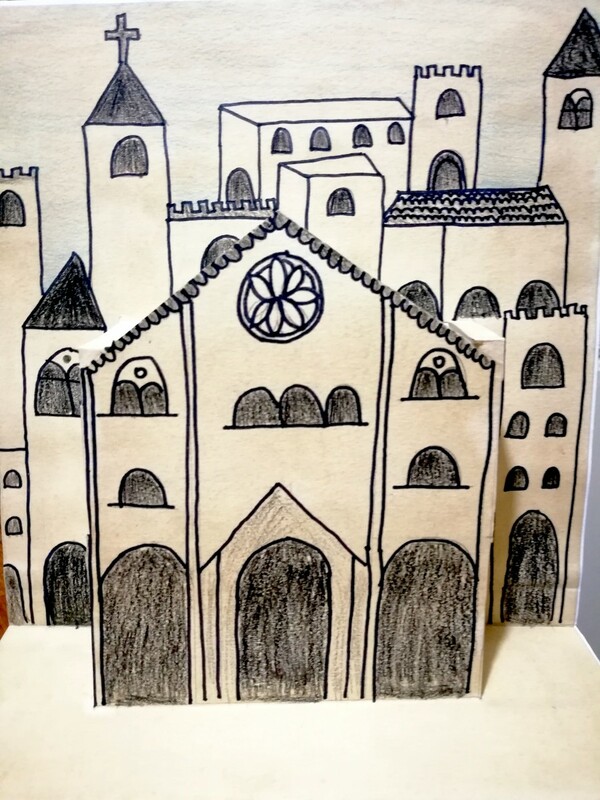 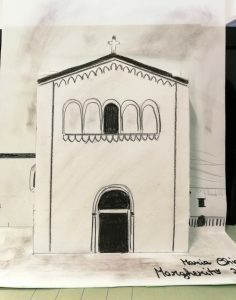 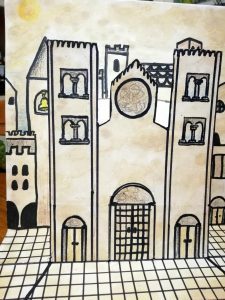 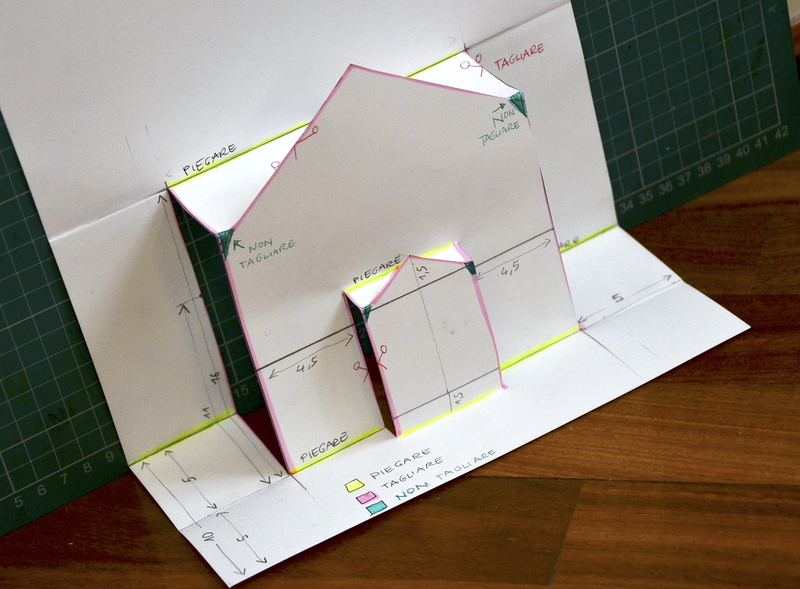 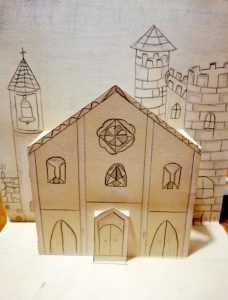 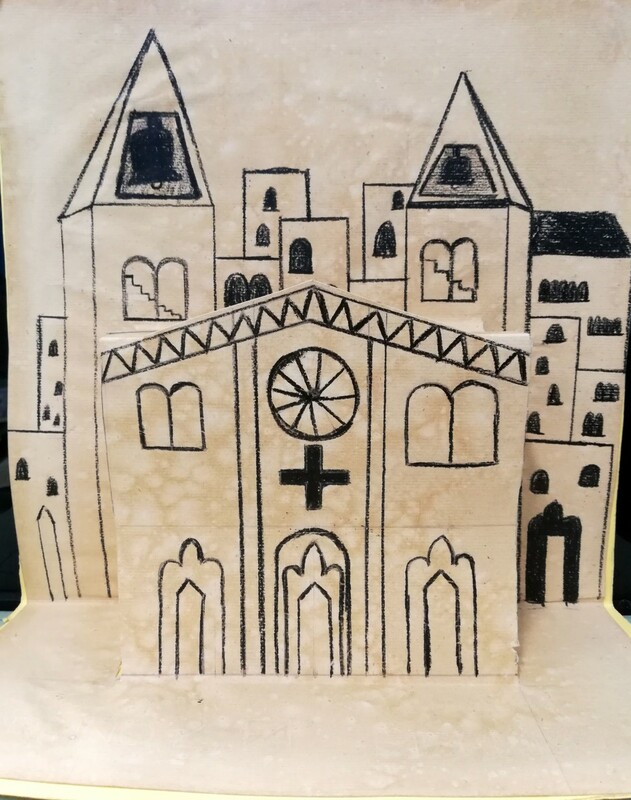 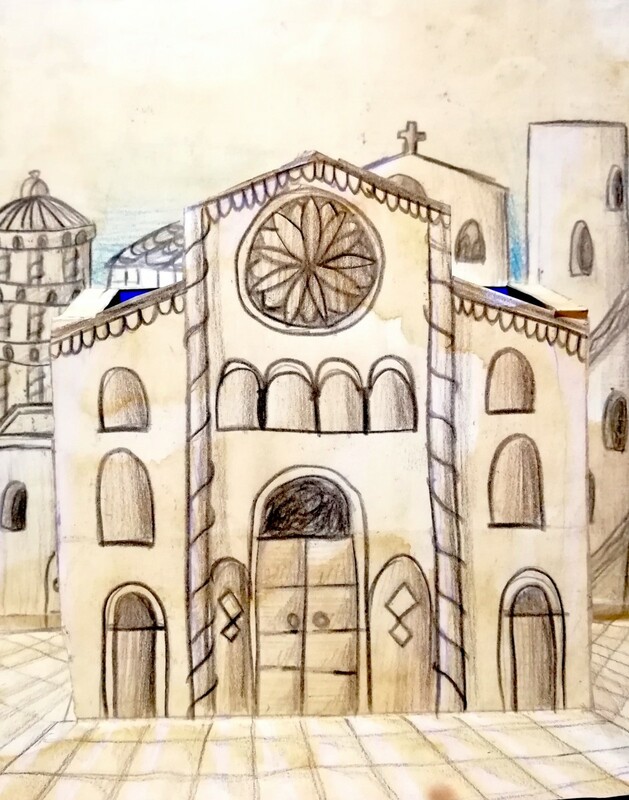 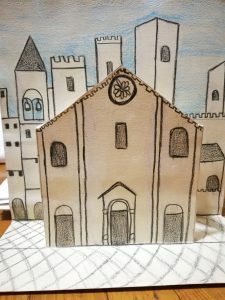 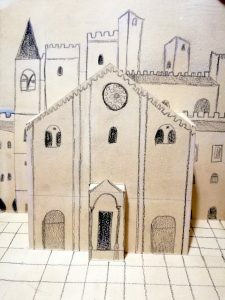 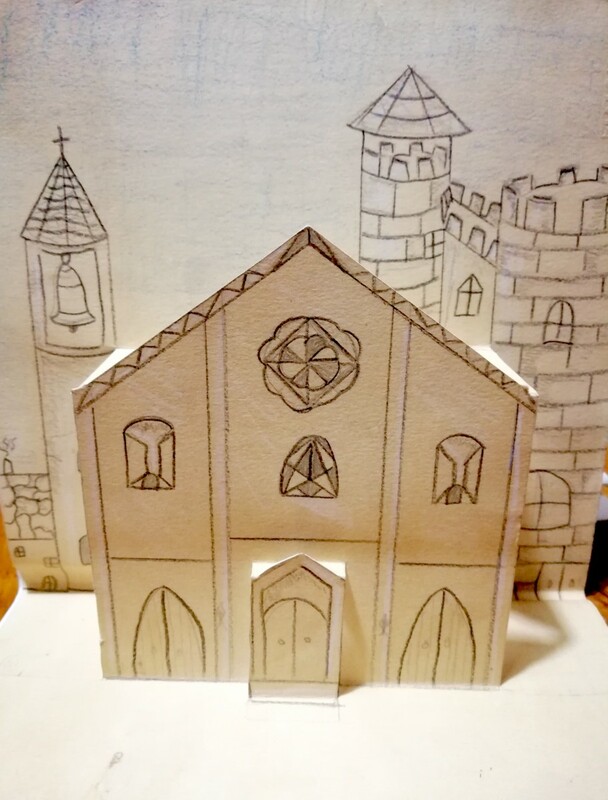 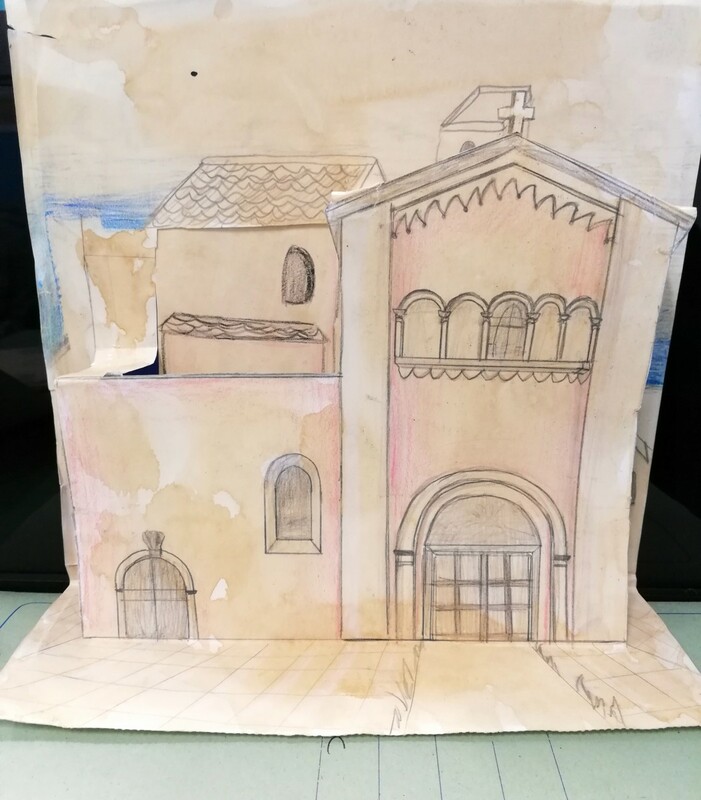 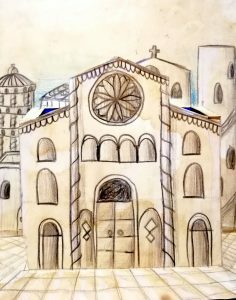 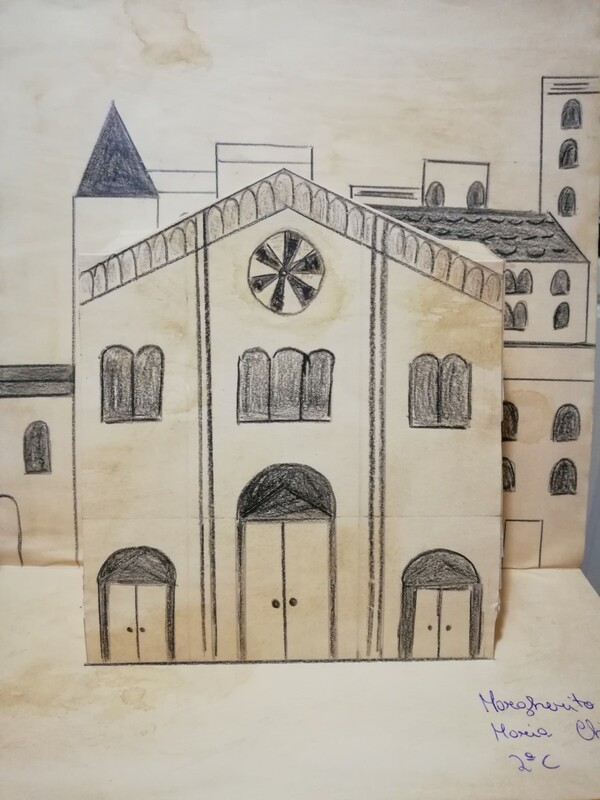 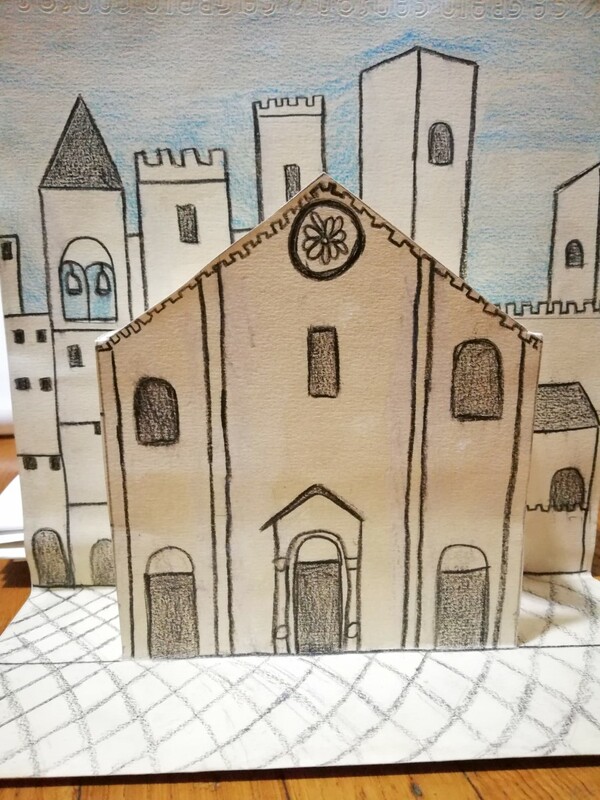 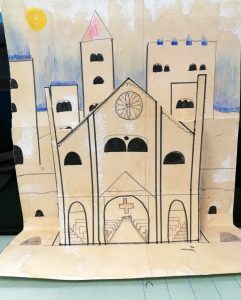 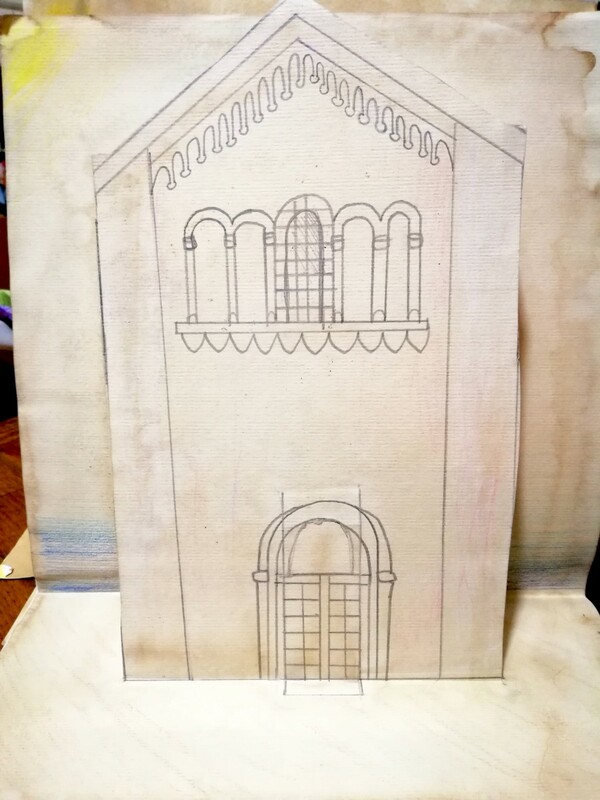 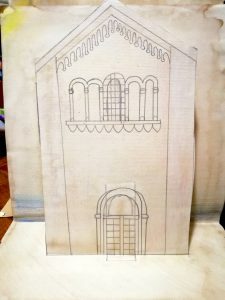 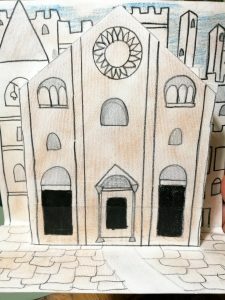 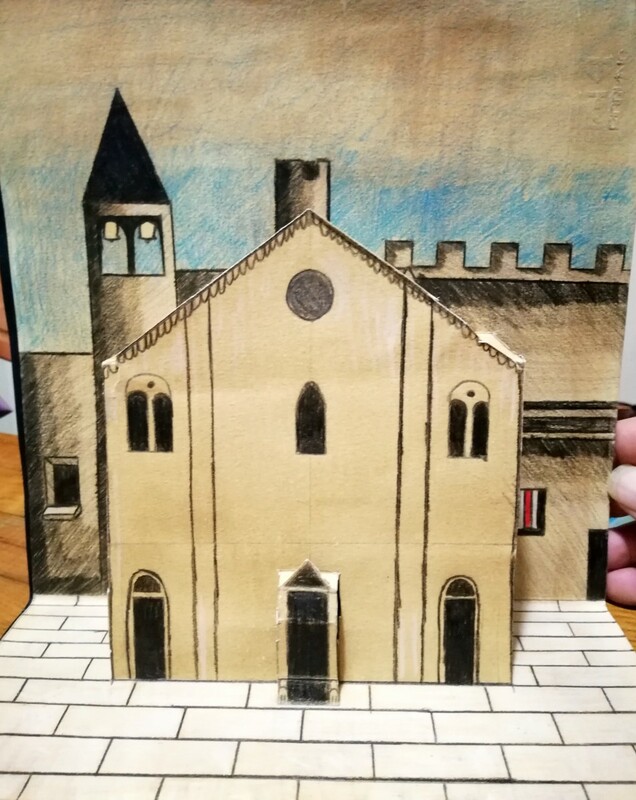 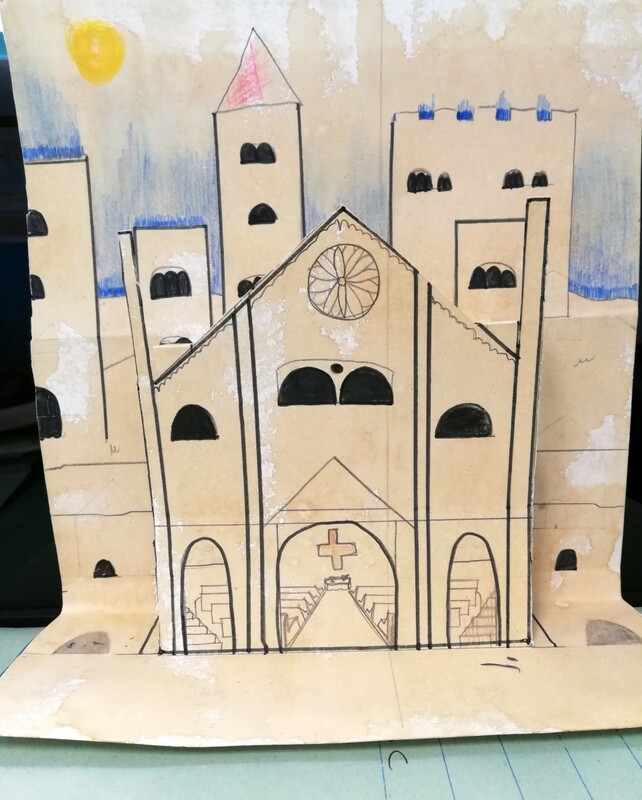 After studying the Romanesque and Medieval architecture, students created these cathedrals using a drawing sheet 24×33 cm. 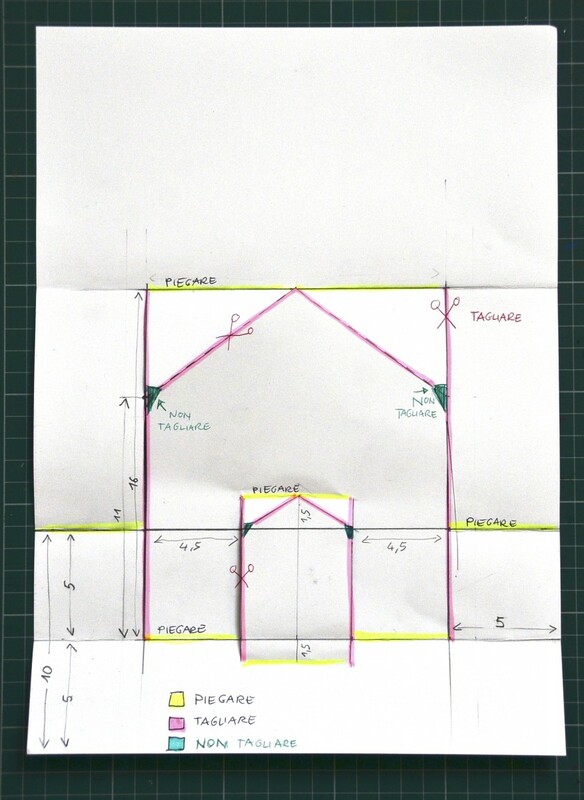 First they traced the lines of the framework, following the measures from the example here below. 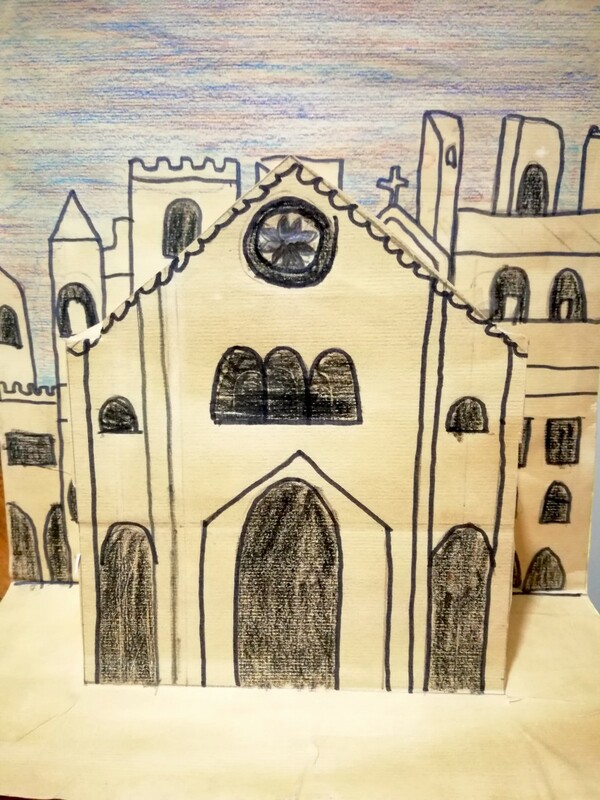 After cutting and folding the paper (look at the pink lines for the cuts and the yellow lines for the foldings) the students drew the cathedral with the main gate, the rose window, the double-arched windows, and other architectural features. 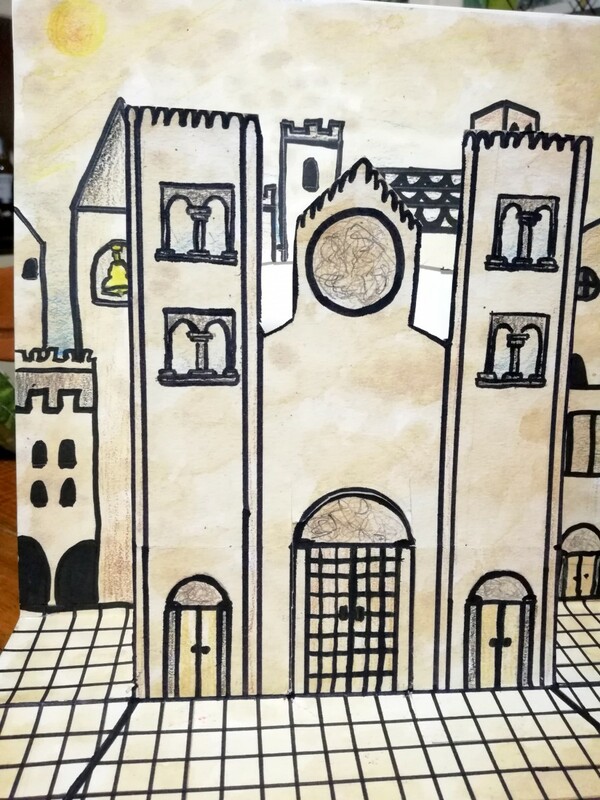 The drawing has been completed with the medieval city on the background and the paving stones on the floor, and it has been colored with colored pencils and watercolors.